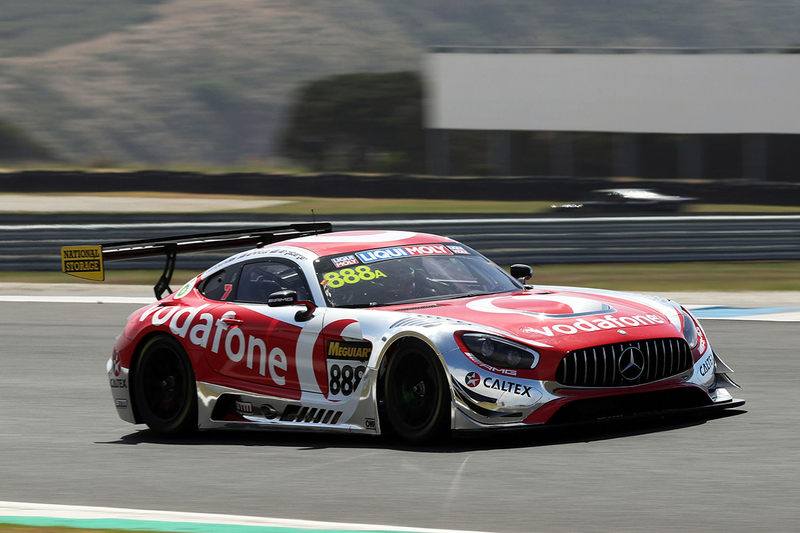 Craig Lowndes says the Mercedes Triple Eight's all-star line-up takes to next week's Liqui-Moly Bathurst 12 Hour is "probably one of the easiest GT cars I've driven". 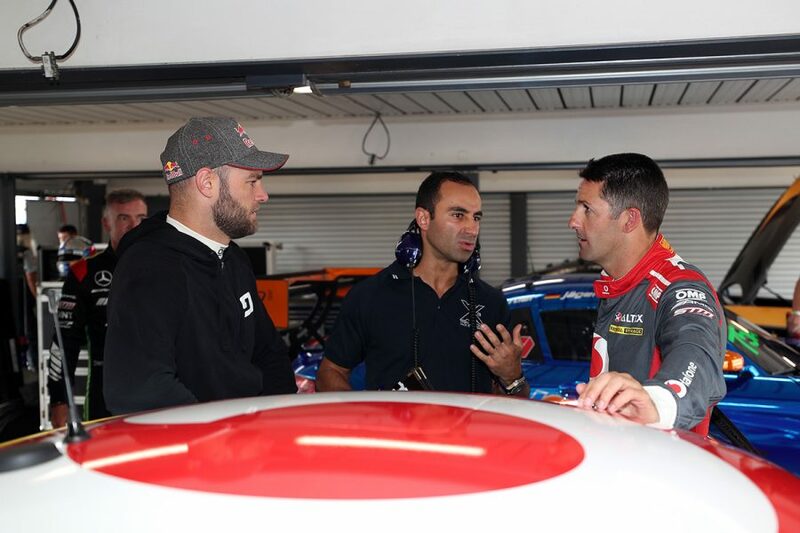 Lowndes joins forces with Supercars stablemates Jamie Whincup and Shane van Gisbergen for the first time on January 31-February 3, in Australia's flagship sportscar race. They will share a Mercedes-AMG GT3 in a joint venture between the crack Supercars outfit and Scott Taylor Motorsport, with Erebus Motorsport fielding a sister entry. While Whincup and van Gisbergen have both raced the Mercedes before, a test at Phillip Island on Monday was Lowndes' first taste. Lowndes has won the 12 Hour twice in Ferraris, and also raced Audi and McLaren GT3 offerings, all of which have their engines behind the driver. The Mercedes powerplant sits ahead of the driver, which Lowndes says compares favourably. "It's nice to finally drive the Mercedes," Lowndes told Supercars.com. "My impressions of the car is exactly what everyone's been saying, that it's a very easy, forgiving car to drive. "You have to get used to the extra length of the bonnet but that didn't take too long. It's probably one of the easiest GT cars I've driven. "Obviously the aero and the BOP are very much a controlled environment [in GT3 racing], but where the engine is positioned, it does feel like the car reacts differently. "In the Mercedes you're sitting so far back, almost over the rear wheels so you can feel the back of the car quite easily. "The McLaren, Ferrari and those cars, because you sit so far forward, you're desensitised a little bit from the rear of the car." The Triple Eight and Erebus AMGs were accompanied by the third Scott Taylor Motorsport entry, running under the SunEnergy1 banner, at Phillip Island on Monday. Lowndes says his focus was more on coming to grips with the new package, while Whincup's Supercars engineer David Cauchi oversaw the technical program. "My whole thing was to get familiarised with the car and just do laps in it and get used to it," he said. "Shane and Jamie were the ones doing more of the set-up changes and chasing the track set-up. "From what everyone was saying, the track was pretty greasy and slow, so we went through a number of changes to see what the car did and how it reacted. 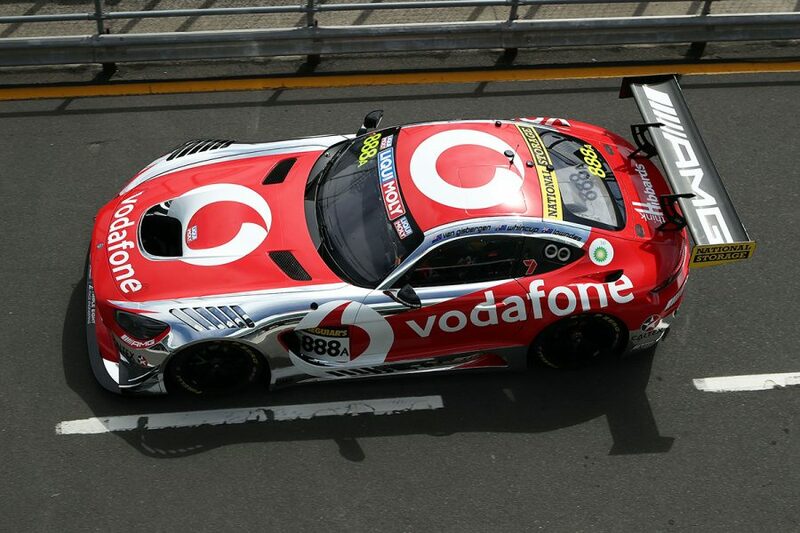 "For me it was getting familiarised with all of the instruments and the way the car operates. "The last corner, Turn 1, through the Hayshed, all of those fast corners in fourth, fifth, sixth gear, are exactly what the cars are designed for. "They're a good indication of what it's going to be like up at Bathurst when we go across the top of the Mountain. "I'm really excited, I think it's one of the best preps I've had going into the 12 Hour."